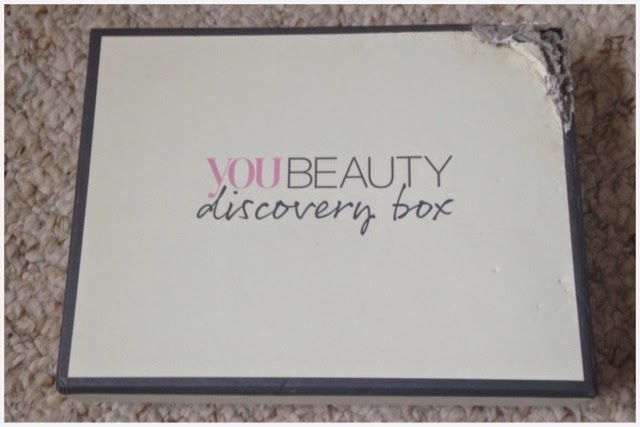 You Beauty Discovery box review! July 2014. It's review time again! It seems like it's been the busiest month ever so getting my box through the door this morning was a nice normality. That being said I was rather disappointed with the condition of my box! It looked as if it had been attacked by dog! 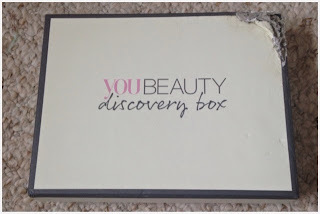 It was such a shame because I love to keep the boxes and the damage was not only through the lid but also onto the box itself. That being said it's onto the products! 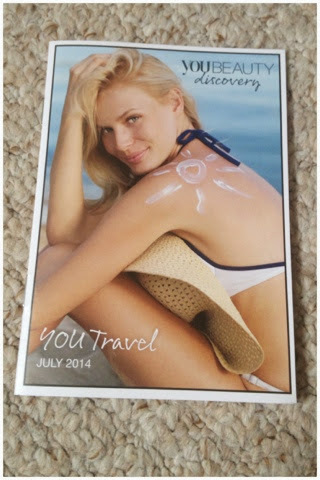 The theme was 'YOU travel', good play-on words, eh? 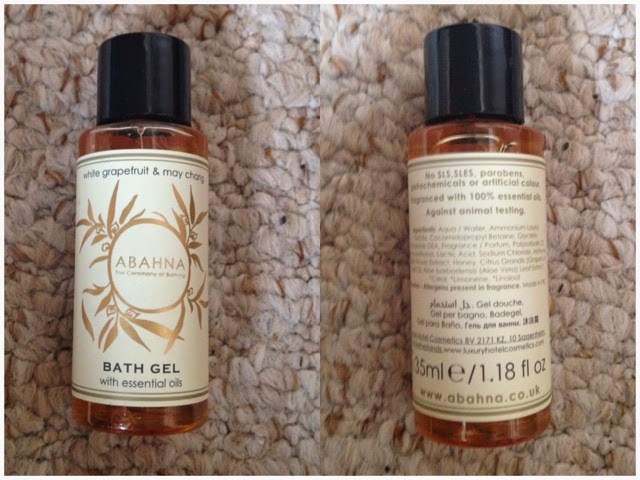 The first item I chose was from the travel section and it's a bath gel. 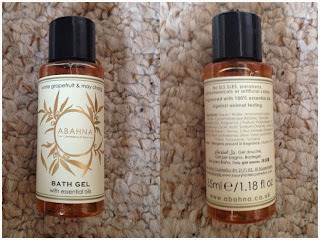 It's made by Abahna; the ceremony of bathing. The scent is white grapefruit and may chang and it contains essentials oils. All I can say is that it smells absolutely incredible. Very luxurious and great for an exotic travel treat. I'll be sure to use it in my next bath. It costs £5 for 100ml on their website. 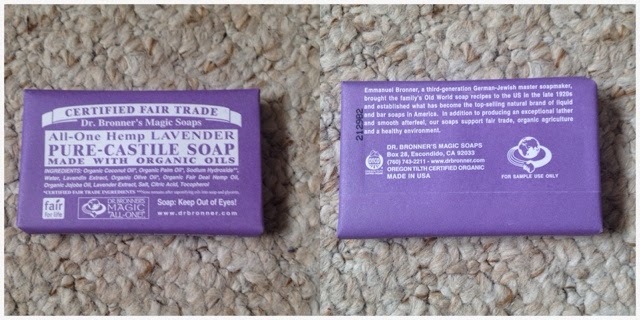 Next is a All-One Hemp lavender pure-castille soap made with organic oils by Dr. Bronner's Magic Soaps. It's certified fair trade and has the most beautiful lavender smell. It's very refreshing I'm exciting to start using it once I've finished using my current favourite. I'm currently on a soap kick, trying a ton of new smells. I'm also loving the more organic, handmade style soaps so it's cool to be able to get one in my box. 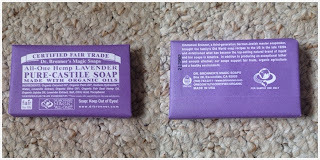 It is available to by on Dr Bronner for £3.99 for 140g and I will almost definitely be buying more and trying other soaps. Now for the items you don't chose! Firstly is a Agent Provocateur eau de parfum sample in Fatale. I love it! It is definitely my new favourite and I'm looking into buying the full size as I love it that much. It's described as a 'sultry elixir juxtaposing spicy pink pepper and luscious fruits, with a voluptuous floral heart of gardenia, royal iris and smoky touches of patchoulli. An addictive base of skin musk, vanilla and chocolate completes the seduction.' I don't think I could have possibly described the smell, so it's s good job there is a description on the inside of the packet. It's definitely sultry and a more night smell than a day. I really love it for night perfume as it's heavier than my usual Juicy Couture, it retails for £45.00 for 50ml at The Fragrance Shop. Next is a slightly strange item. It's a cream by Eqyptian magic, it's called an all purpose skin cream which contains; olive oil, beeswax, honey, bee pollen, royal jelly extract and propolis. With no parbens, preservatives, chemicals or presevatives. 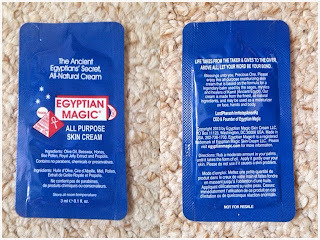 Apparently it's the Ancient Eqyptians Secret All-Natural Cream. 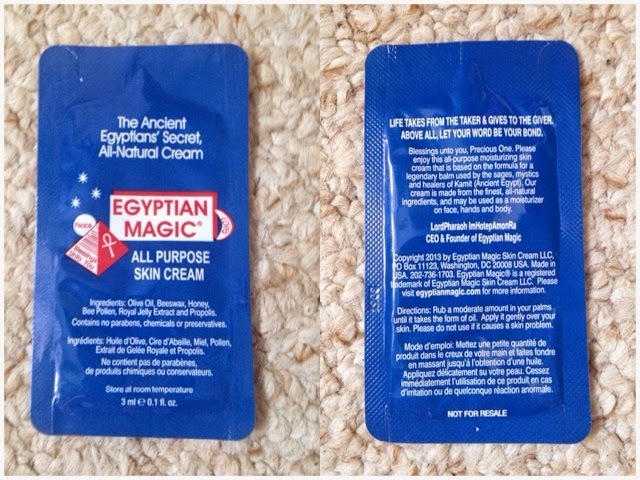 It can be used on face, body or hands. Through the packet the consistency feels slightl weird but I'm definitely excited to try it as my skin has been feeling dry recently and I know how good honey is for the skin! It's an fairly expensive cream selling for £21.25 for 120ml on Beauty Bay. Overall I think that this box was well worth the money and I'm excited to receive my August box! 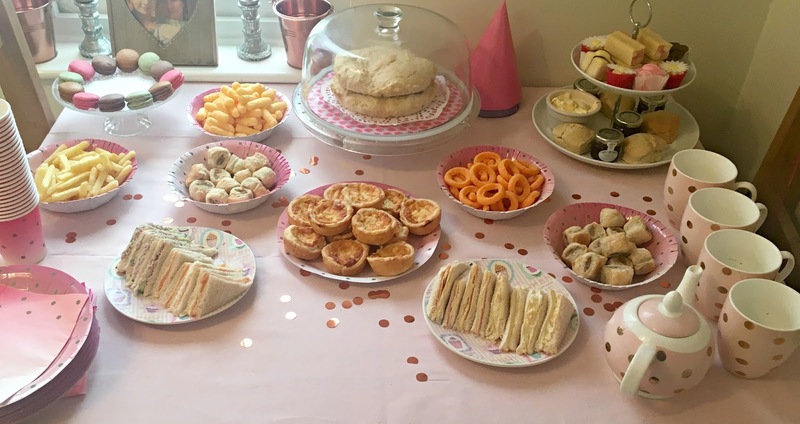 If you want to read my review from last month click here.